Cleaning your attic doesn’t sound like a job to warrant calling in a professional. Many homeowners are surprised to see the cleaning crew arrive with sophisticated looking equipment and full protective gear. Although you can still save yourself a lot of heavy lifting and the trouble of working in a dusty, possibly moldy, hot, confined space under ordinary circumstances, there are instances where it is mandatory you call the pros for your own health and safety. Whether it is a leaking roof or severe weather has caused water damage and moisture problems, it is best not to get into the attic if you can help it and hire a professional to remedy the situation. Moisture around wood means that there is always a structural concern and the rotting or damaged ceiling or wood beams may cave in especially after prolonged exposure to moisture. Mold is also a concern when working in a tight and poorly ventilated space especially if toxic back mold is present. These risks are further compounded if there are any exposed or damaged electrical wires that may come into contact with the water. A professional attic cleaning technician will know how to get around all the safety issues present in the aftermath of water damage. Your job doesn’t end after you have successfully removed rodents or wildlife from the attic. You need to clean and disinfect the area thoroughly to prevent a host of potential diseases present in animal urine and feces including Hantavirus pulmonary syndrome, salmonella and leptospirosis to mention a few. Some of these pathogens can be inhaled and there is a high risk of infection in the enclosed attic space. You almost always need to replace the insulation after the animals leave for the same reason. Another concern is pheromones left behind by the wildlife which can attract other animals looking for a place to nest for up to a kilometre. Do not attempt to pick up dead rodents or wildlife with your hands. Wildlife and rodent carcasses are considered toxic material and should only be handled by a professional. 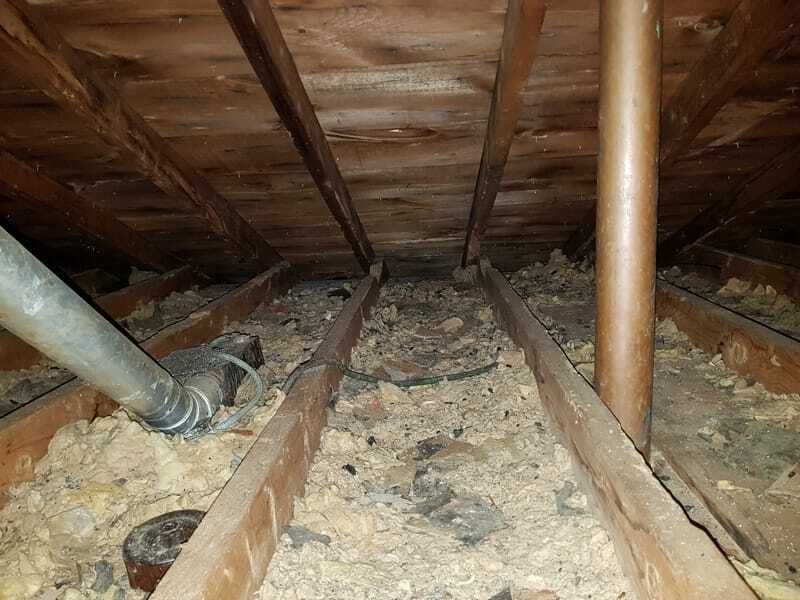 Attic Insulation Toronto offers wildlife removal services, attic cleaning services and insulation replacement services so you don’t have to pay separate contractors to do the difficult restoration work which often accompanies rodent and wildlife invasions in attics. Apart from animal feces and urine in your insulation, asbestos is a serious concern especially in homes built prior to 1985 when this mineral was commonly used in insulation. Asbestos has been linked to lung cancer and other chronic respiratory diseases. The fibers easily become airborne when disturbed and thereafter inhaled casing the infection. Do not attempt to remove asbestos insulation on your own. This process requires specialized equipment and know-how including setting up zero pressure zones to protect the rest of the house from possible contamination. You may also be fined for improperly disposing of toxic insulation. 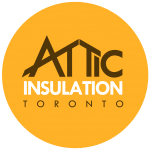 Attic Insulation Toronto has decade’s long experience working with toxic materials and has a comprehensive framework to handle and dispose of the toxic material responsibly. Attic cleaning is necessary when installing new insulation not only to make sure that the surface is clean but also to find and seal potential air leaks that can significantly degrade the new insulations R-value. There might also be additional restorations and adjustments that need to be made before the insulation can be installed for optimum performance. These are best left to a professional who will be able to pick up on potential issues while cleaning. In any of these cases, you have the additional benefit of having your heavy boxes and other junk removed and/or disposed for you. Attic Insulation Toronto experts come in for a preliminary inspection before custom-designing the cleaning process to suit your unique circumstances.